Anna is a professional make up artist and hairdresser with over 12 years of experience in the beauty field: make up, hairstyling, image consulting for fashion, editorial, catwalk, music, video, TV and wedding industries. She helps you to create your flawless look for weddings, special occasions and events in Italy, fashion photo shoots, destination weddings or elopements, engagement and pre-wedding shoots. She worked with clients of all ages, ethnicities, skin types and tones. Anna is an expert in make up for different skin tones and ethnicities (Asian, Chinese, Japanese, Korean make up, Arabic make up, Afro-American make up, black women make up, Indian, Pakistan, Lebanese bridal make up, etc.). 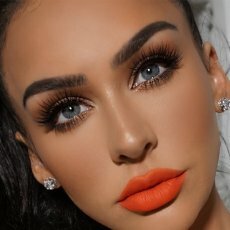 She is specialized in colour matching, face contouring, corrective and photographic HD make up techniques. Anna uses only top quality professional products such as Mac, Make up For Ever, Clarins®, Lancôme, Anastasia Beverly Hills, Estée Lauder, Lorac®, Yves Saint Laurent, Urban Decay, Benefit, Inglot, Smashbox, Laura Mercier and others. As a professional image consultant for editorials, photo shoots, brand consultation and celebrity styling, Anna provides you with an image consultation on the whole concept of your look creating a flawless style. You can book a personalized make up and hair and/or makeover consultation. Anna provides advice about how to improve your personal appearance, she teaches how to accentuate your best features using the right cosmetics. 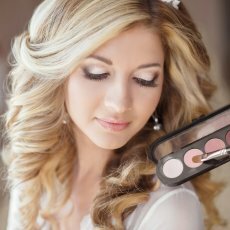 As a personal make up, hair and image consultant she organizes self make-up lessons in Rome (day, evening, special occasion make up, contouring techniques, eyebrow shaping make up, colour matching, bridal make up etc). 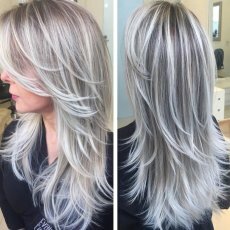 It is possible to organize group make up and hair workshops and courses. Don't hesitate to contact Anna for more information. Anna is a real professional in long-lasting HD and photographic make up and hairstyling. 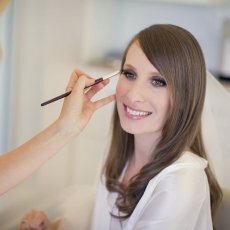 Don't hesitate to contact her if you need a MUA, MUAH, hairstylist or image consultant for weddings, Asian pre-wedding photo shoots, photo shoots in Rome and Italy, elopments hairdresser and make up services, destination weddings in Italy, wedding dress fashion shoots and bridal fashion editorial shoots.